Floral fabrics and art are definitely coming back and strong. I'm, of course, on board. Last week I went back to the antique store looking for a couple of pieces that we need for the family room (more about the family room to come later in the week). 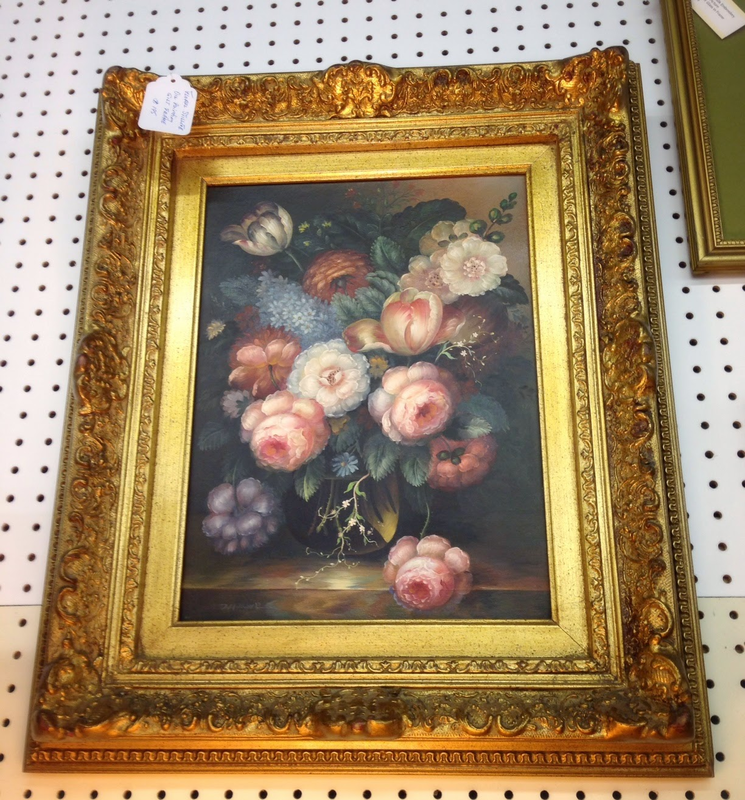 Though they didn't have what I went for, what I did spot was a breathtaking floral painting in the most exquisite gold frame. I desperately wanted to take it home, but alas, there is a budget and I need the other items before this, plus, I already have quite a few floral prints in the house (that doesn't matter though, does it?!). My word, it's so hard to leave great pieces behind even when you don't have an immediate use/spot for them. The frame, the dark background, the pinks & blues, it's just lovely. Are you all for moody florals? That is lovely. Can't believe you left it behind - seems like a good fit for your place! 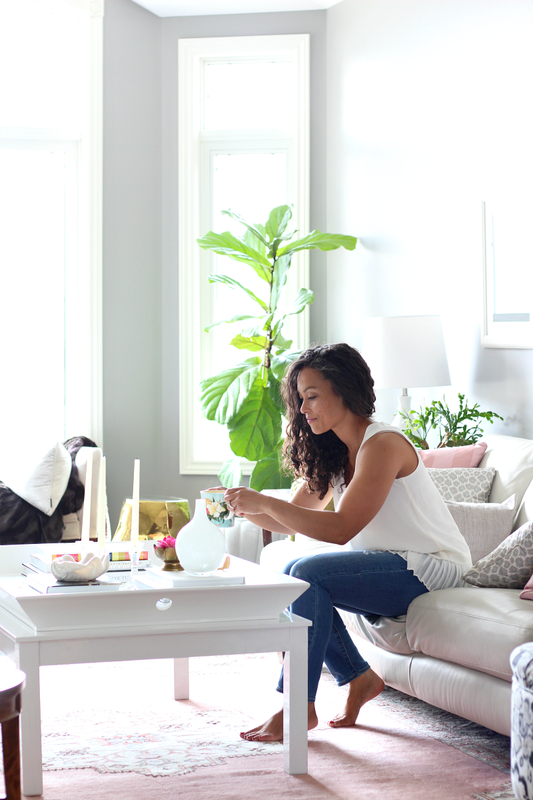 I am in love with the large floral art you already have in your dining room, it's so divine! Love this thrifted find as well.